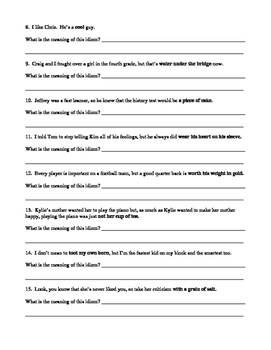 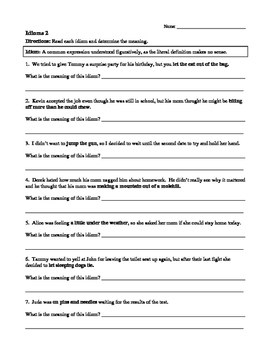 Here are three (two page) worksheets about well known idioms. 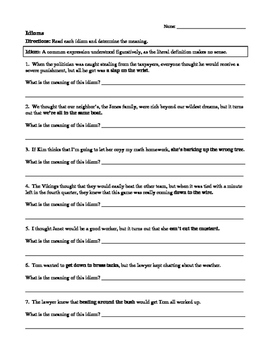 These worksheets are intended to be used as extensions for students, or after an idiom lesson has been taught. 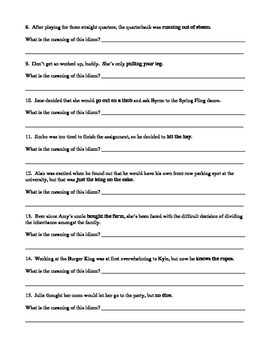 Please see preview for an example of one of the worksheets.